Apple’s next major event now has a date. 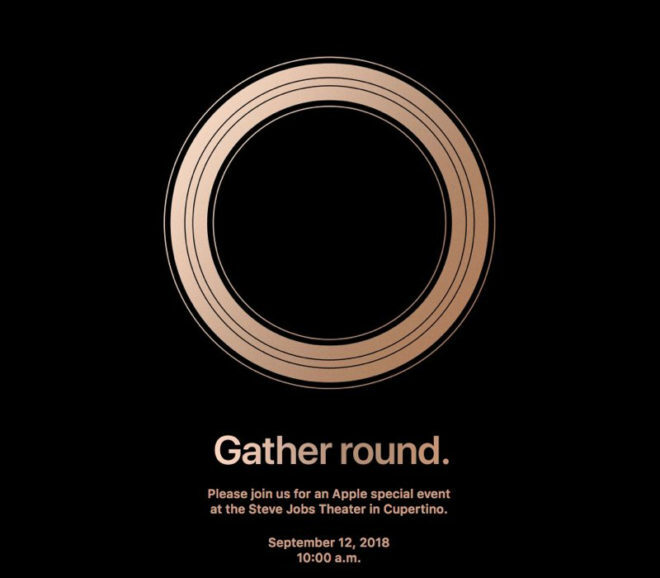 Apple will host an event on September 12th at 10:00 am. The company isn’t saying exactly what it has in store, only that this is a “special event” that’s happening at the Steve Jobs Theater in the Apple Park campus, which is located in Cupertino, Calif. Considering that Apple has introduced new iPhone hardware in early to mid-September for the past several years, it seems likely that this upcoming event will bring new iPhone models, too. The rumor mill claims that we’re getting three new devices this year, including a Plus-sized model with a 6.5-inch OLED screen, an updated iPhone X with a 5.8-inch OLED screen, and a lower-cost model with a 6.1-inch LCD screen. It’s also possible that a new Apple Watch will be shown at the event. The big change for the Apple Watch Series 4 is rumored to be a larger display thanks to reduced bezels around the screen. What do you want to see from Apple’s new iPhone and Apple Watch hardware? They would not even let anyone make a vitual machine using their OS. They keep hardware and software to themselves. Yes, its good in a way, but too expensive. So I say no thanks. Not likely. It’s a given! All phones just work in 2018. Gather round? A new 360 camera? Think they are showing the new gold color and hinting at the new apple watch. Going to be a great year for Apple phones and watches. Excited about the Apple watch 4 and new XS plus. Really like the new watch face in the leaked images.